Follow a few easy steps and you’re good to go. 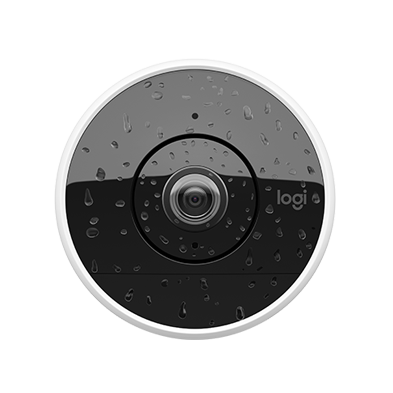 Whether plugged into the wall or 100% wireless (powered by a rechargeable battery) every Circle 2 security camera works indoors and outdoors. No matter what your needs are, there's a configuration that's just right for you. Built to weather it all, Circle 2 is tough enough to go outside and handle rain or shine. With an array of mounts and accessories that continue to expand, you can also keep an eye anywhere you want. Use the Circle Android or iOS mobile app when you’re on the go, check in from work on your computer using the Circle web app or at home on Android TV. With your suite of apps, you can watch over home from anywhere. Smart Alerts notify you of the moments that matter on your mobile, no matter where you are. You can customize alert frequency or sensitivity from the Circle mobile app. Add a Circle Safe Premium plan and alerts can even tell you when a person was detected and (once Motion Zones are defined) exactly where in the home the action took place. Unlimited full 1080p HD live surveillance streaming (720p and 360p resolutions also available, depending on your bandwidth requirements). No streaming limits (data rates still apply). Advanced Event Filtering identifies and records relevant motion so you can quickly find and replay clips that matter. Use the Event Filter menu to only see footage you care about. The built-in speaker and microphone let you connect with whatever's going on at home instantly. Whether it’s to talk to someone at your front door or deter an unwanted visitor, the Talk and Listen functionality helps make remote conversations convenient. Smart Time-lapse Day Briefs let you play or download a free 30-second recap of the day; on demand and at no additional charge (data rates still apply). Circle's algorithms intelligently sort through footage to see what happened during the day so that you don't have to. With Smart Location, Circle 2 knows when to turn alerts on or off. Start getting alerts when you're away from home. Stop getting them when you're not. Add a Circle Safe™ subscription plan to your camera to access more storage and features. Circle Safe Basic offers 14-days of storage and Circle Safe Premium offers 31-days of storage and advanced features. Save with Circle Safe Home pricing, ideal if you have two or more cameras. No matter what you choose, you'll get a 10-day trial of Circle Safe Premium and 24-hours of secure cloud storage for free. Circle 2 does not have local storage. Field-of-view might be altered depending on the mount attached. May require external lighting in some cases. For more information, click here.